Recently, my wife took her GCSE Catering students for afternoon tea at Browns Restaurant in Birmingham City Centre. It was part their research in preparation for one of their two final assessments, when they have to prepare, bake and serve an afternoon tea for four persons. For most of the young people they had never experienced a formal afternoon tea before and so there was a great deal to discover about what would be served and how it would be presented. As they sat awaiting the arrival of their sandwich fingers and the cake stands of scones and profiteroles, one inquisitive young lady noticed a strange looking item on the table and asked my wife what it was. ''It's a tea strainer'' explained my wife. '''A what, but tea comes in tea bags doesn't it?'' said the girl! For most young people and many older folk too, the teabag dunked in a mug of hot water is the way to make a cuppa and fresh tea brewed in a teapot is as alien these days as a fish knife. Mark Miodownik has a brain the size of Darjeeling and is Professor of Materials and Society at University College, London. He has worked in nuclear test laboratories and delivered the Royal Institution’s Christmas Lectures. But he has just proved, once again, that very clever people can say very foolish things. 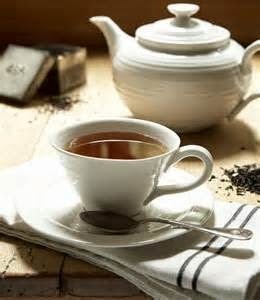 “What frustrates me,” he said this week in the Daily Telegraph, “is that the British think they know about tea, but most people have no idea what they are doing.” He has declared that tea should be brewed for up to five minutes. Anything less than two and you might as well be drinking “a hot milky drink” which he claims is “like using a laptop to hammer a nail into a wall”. Five minutes! Leaving a tea bag in the mug for 300 seconds seems an absurd indulgence to me, especially in an era of coffee machines pumping out near-instant cups of coffee and taps that can supply boiling water at the push of a button. Surely, it is possible to brew a good cup of tea in less time? Expert Bill Gorman is not convinced either by Prof Miodownik’s ruling. He’s the chairman of the Tea and Infusions Association (formerly the British Tea Council).“I am always sceptical of any scientist entering the world of food and drink and saying, 'this is the way to do it’,” says Gorman in the press. He says he often likes a five-minute brew “so the spoon stands up in it”. 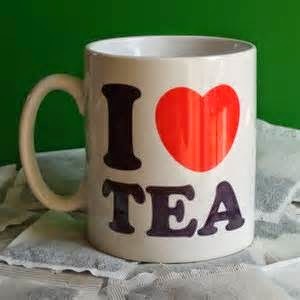 But this does not make his tea “better” or more scientifically valid. “It really is a matter of personal taste'' he says. Miodownik insists a quick brew might even be an ethically impoverished one. “So much work has gone into growing and manufacturing your tea bag, the least you can do it is give it a bit of time and treat it with respect.” But this is not practical for most people. Many folk believe that five minutes is just too long, creating a brew as dark and malodorous as anything Macbeth’s three witches could concoct. He points out that most tea manufacturers know full well that the average time consumers leave tea bags in their mugs is about 40 seconds. As a result, they produce bags containing small leaves with lots of surface area - allowing us to make decent cups of tea very swiftly.This is the reality. 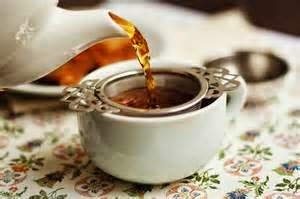 According to the Tea and Infusions Association, 96 per cent of all the tea drunk in Britain - 165 million cups a day - is made using a tea bag. So is the tea strainer is redundant? Most people agree that loose-leaf tea needs about five minutes to infuse its flavour around a full teapot, but these drinkers are in a tiny minority these days and Prof Miodownik is one of them. 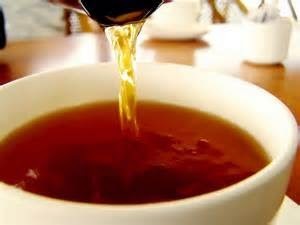 He admits in the Daily Telegraph that he wooed his partner over a pot of loose-leaf Assam. “She liked the romance of me carefully making a pot of tea for her. A lot of tea drinking is about the ceremony.” It worked. They now have two children and Ruby even knits him tea cosies. Five minutes may be good for him, but for me, I will continue to dunk my tea bag, give it a prod, and start drinking. 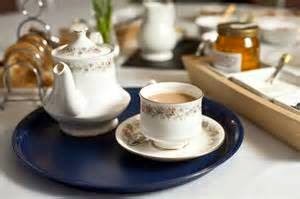 It's only on special occasions, when guests ask for a cup of tea after a meal., do I get out the teapot.